This week: Downplaying LED savings, the SlimStyle's driver, and Canada banning incandescents five years behind the US. Canada is five years behind the US in phasing out the inefficient bulbs, though the country started down that road in 2007, the same as its neighbor to the south. In the US, 100W incandescents went out of production in 2009; 75W followed in 2011; and 60W and 40W in 2014. Canada was set to halt import and manufacture of all incandescents at once, at the beginning of 2012, but in 2011 the government gave in to pressure and instituted a phase-out instead. 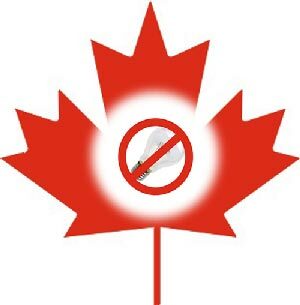 In Canada, 40W and 60W bulbs will join the ban at the start of 2015. It looks like the country is behind the US in awareness, as well. Two reports about the ban in national media barely even mention LEDs; they claim that CFLs will be the bulbs to replace incandescents. Neither mentions efficient halogens either, though these were added as an exception to the ban last October. In the accounts I read in local media, lighting store personnel seem to be just as confused as everybody else. One is quoted in this article from Kamloops: "They've changed the lifespan so they can be deemed energy efficient if they have the right lifespan to them." Margery Conner of DesigningWithLEDs.com has added driver details to her earlier account of the teardown of a Philips SlimStyle bulb. In that first look, she had found a component she took for an isolation transformer and therefore assumed the driver was an isolated design -- which if true would make the SlimStyle a rarity among A19 replacement bulbs. Turns out it's a coupled inductor, and this and other clues led Conner to conclude that Philips's design is indeed non-isolated, which is a win in terms of both parts count and space. The city of Manchester, New Hampshire wants to replace its 9,000 street lights with ones based on LEDs. The local utility, Public Service Company of New Hampshire (PSNH), for which Manchester is the largest customer, was ready to set post-conversion rates with the state's public utility commission. At the last minute the city asked to intervene in the proceedings because, under PSNH's proposal, Manchester would save only 8% of the annual lighting bill of $1.4 million. Why so little? PSNH claims that Manchester already uses relatively efficient high-pressure sodium lights, which use from 50 to 70 Watts. Other cities, with less efficient 100-Watt mercury vapor lights, would see greater savings by moving to LEDs. A cynic might take this story as an instance of a utility company resisting the move to LED street lights for reasons having mostly to do with its own income stream. But what PSNH claims is certainly plausible: replacing newer lights with SSL could have less impact that swapping out older, even less efficient ones. But the numbers don't add up in this case: The LED street lights Manchester wants to install use 40 Watts, an improvement of 20 to 43% over the HPS units.